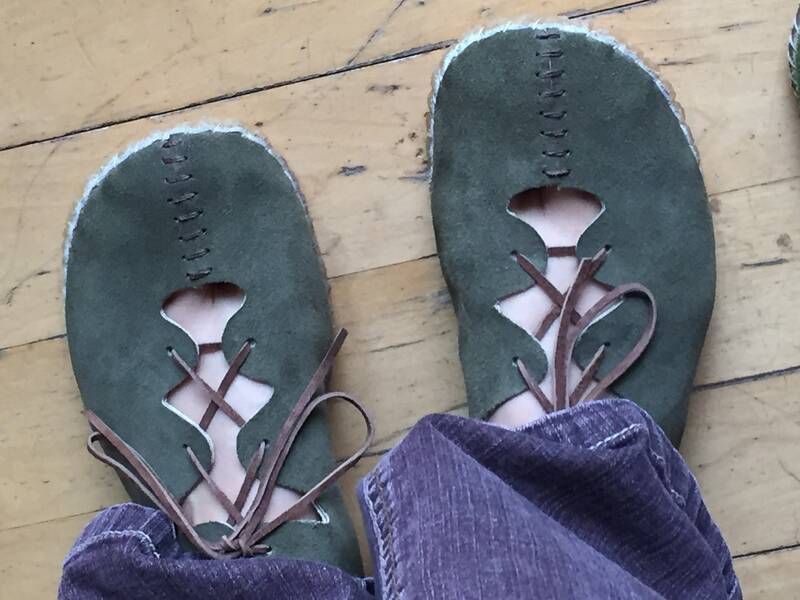 Handmade Ghillies- slip on/ tie shoes. 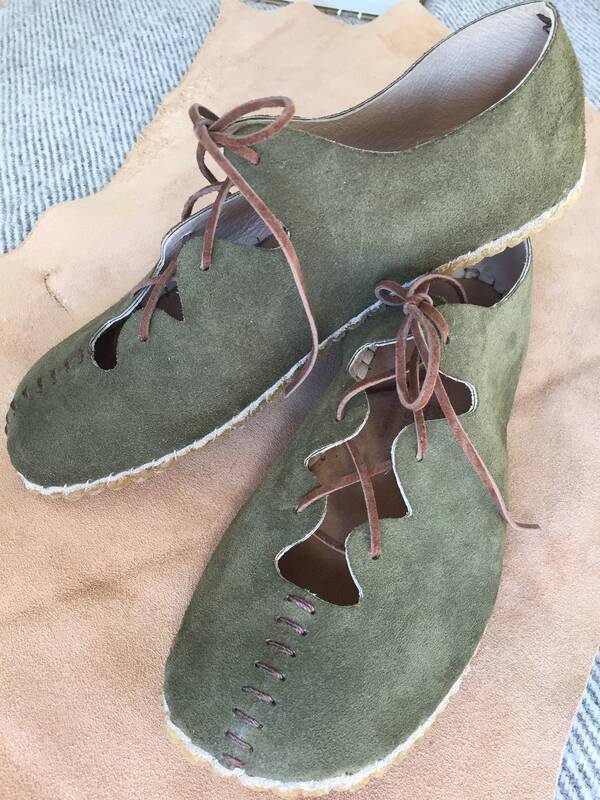 Leather or suede upper hand-stitched with waxed poly thread to 1/8” thick natural crepe rubber sole with suede topsole. Many colors available. SO soft and comfortable. 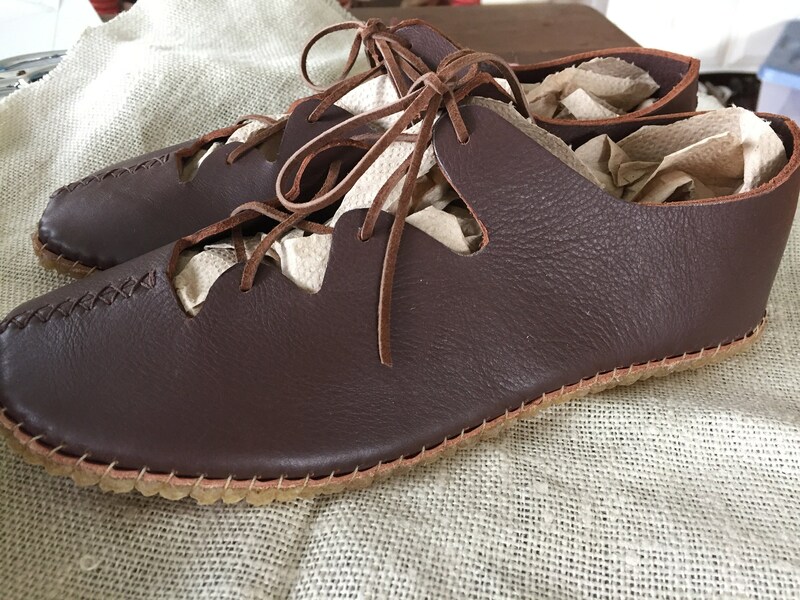 Soling shown is "honey" but most shoes going forward will have brown soling. Your shoes will be made to order based on the *carefully done* foot tracing that you send me. If shoes don't fit perfectly you can contact me to discuss. Most likely I'll have you send them back and I will make a new pair. 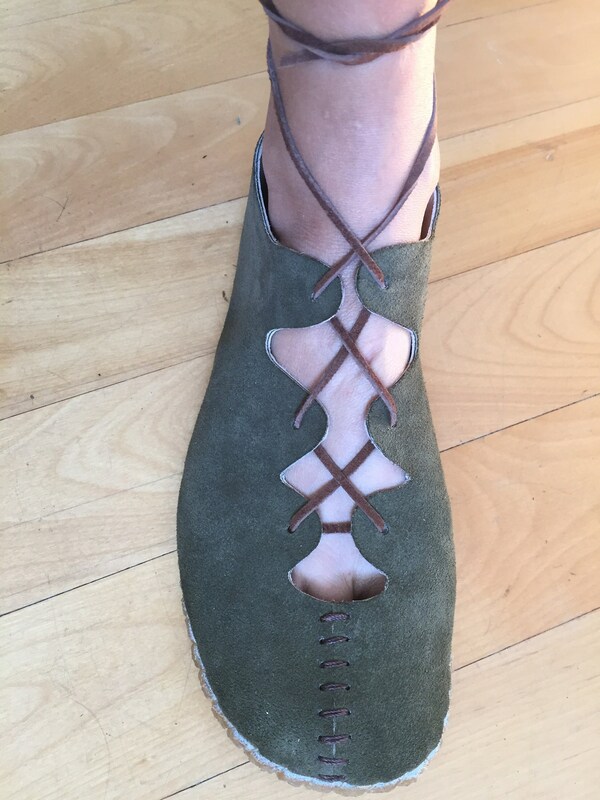 My goal is to make shoes that fit so wonderfully that people just love them. Over time they can be easily repaired/resoled (US buyers only) for $50. 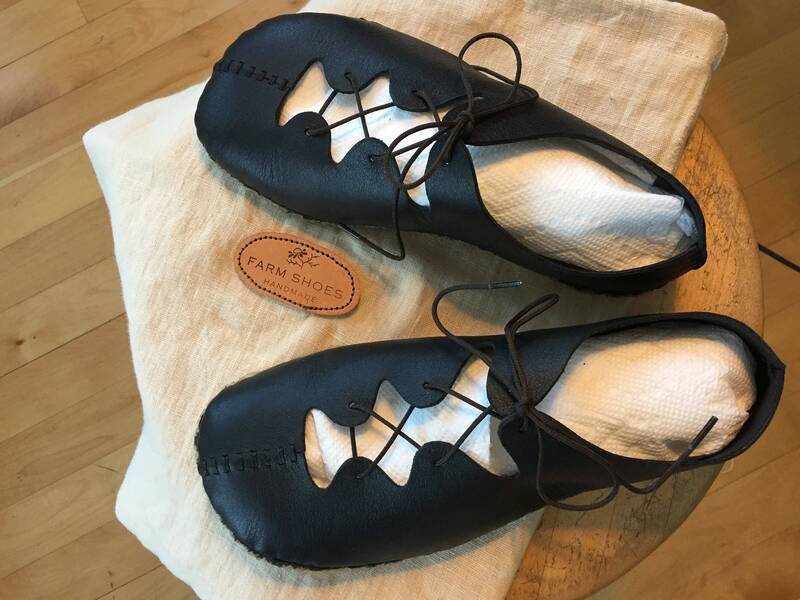 You will please send (snail mail) me a foot tracing with measurements to be sure of accurate fitting. Address will be provided after ordering. • Women’s whole and half sizes 5-11 (or bigger! Send me a tracing!) Until I figure out the drop-down menu for sizing, put it in comments. 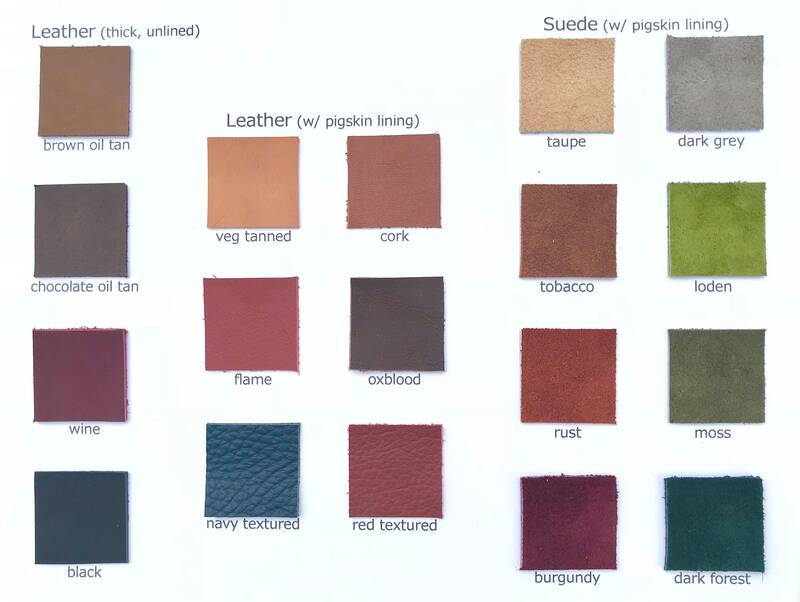 • Many colors of leather and suede. *** barefoot shoes are just that. 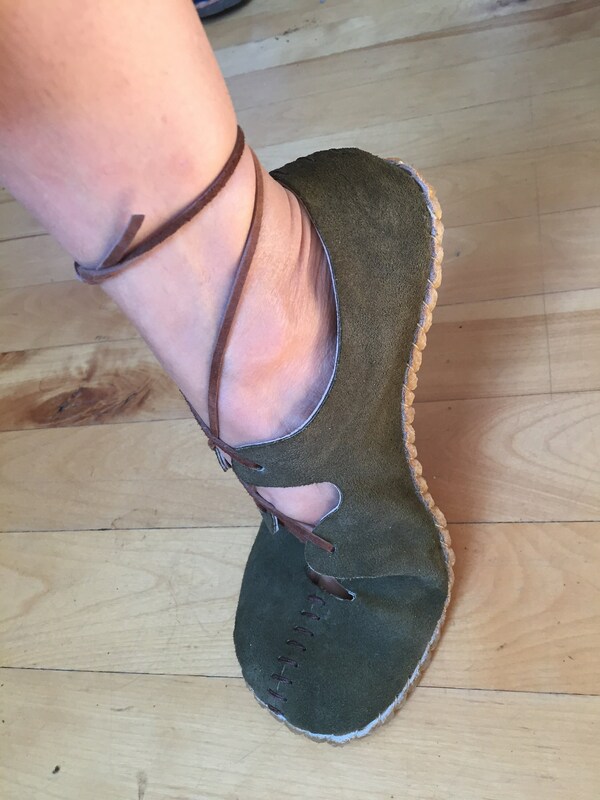 There is no support for arches built into these shoes. 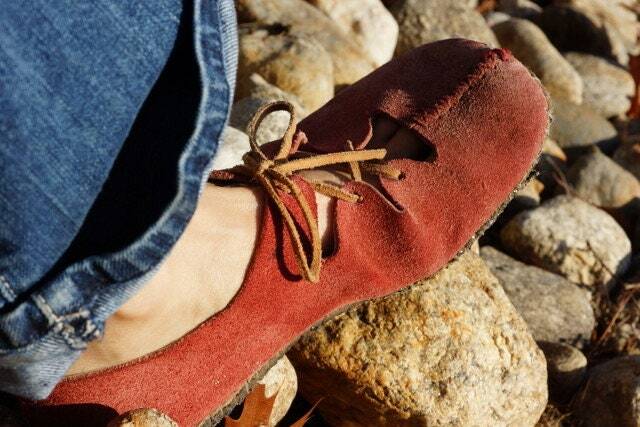 Your feet will feel the ground with protection from rocks, but will be able to behave like a bare foot. I suggest if your feet are used to being in typical shoes you wear into these slowly. You may grow arch muscles and toe muscles you never knew you had! *** that being said, many customers have put their orthotics right inside. I don’t know anything about orthotics nor am I qualified to say if this is a good idea or not, maybe check with your foot doctor. It is your responsibility to plan for inserts that you will be adding.